Georgia County and Secretary of State Sued for Rejecting Minority Absentee Ballots at High Rates | Mother Jones Gwinnett County has thrown out a much higher share of ballots from minority voters than from white voters. A civil rights group sued Georgia Secretary of State Brian Kemp and Gwinnett County on Monday night over the county’s high rejection rate of absentee ballots from people of color. The rejection rate for white voters is 2.5 percent, whereas it’s 8 percent for African Americans and nearly 15 percent for Asian Americans. The suit was filed in federal court by the Coalition for Good Governance on behalf of several voters whose ballots were discarded. 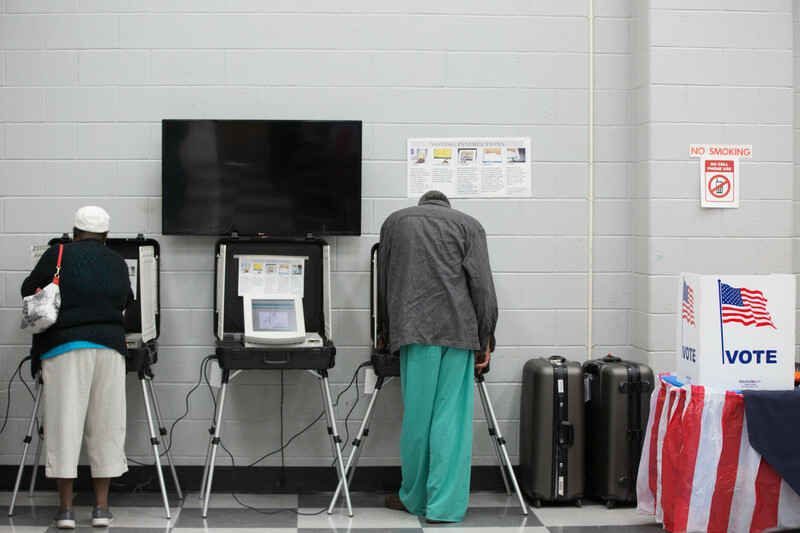 It seeks to stop the county’s aggressive discarding of ballots and provide time for those who have already been disenfranchised to ameliorate whatever issues caused their ballots to be discarded.